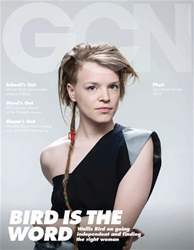 We have a pretty eclectic GCN for you this month, headed up with an up close and personal interview with Irish lesbian singer/songwriter, the wonderful Wallis Bird, about her move away from record labels and into love. The Director General of Ireland’s public service broadcaster, RTÉ, talks about the controversial Pantigate payout, while Minister for Education and Skills, Ruairí Quinn tells us about his mission to eradicate anti-gay bullying in Ireland’s schools. We report on a new TV3 documentary on transgender lives as Ireland waits for gender recognition legislation, and we give you the lowdown on Dublin’s first ever Lady & Transfest. Plus, Westlife’s Shane Filan spills the beans about going solo, all of 2014′s GALAS LGBT Award winners get their moment in print, and we get to grips with beard transplant.